Danube international seminar, organized in partnership with the European Danube Academy, under the auspices of Provincial Government, Provincial Secretariat for Interregional Cooperation and Local Self-Government, public institutions, and private enterprises, as well as national and international partners from Danube region, aims to introduce about 25 students from the Danube region, through the course of four days, and to emphasize the features and options in the Danube region. Seminar was designed so that participants acquire new knowledge in the field of Danube research, provided through various project activities in order to develop awareness of certain characteristics of the Danube region, as well as challenges of the Danube region. 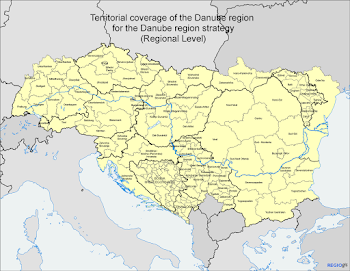 The significance of this project is that Republic of Serbia is a partner with German State of Baden Wurttemberg, so the support of this project strengthens the connection between the most richest European province Baden Wurttemberg with Novi Sad, Belgrade and Serbia, and indirectly Belgrade and Novi Sad are becoming the regional centers of the Danube region.